These shelves hold empty glass bottles. The bottles on the upper shelf appear to be medicine bottles. 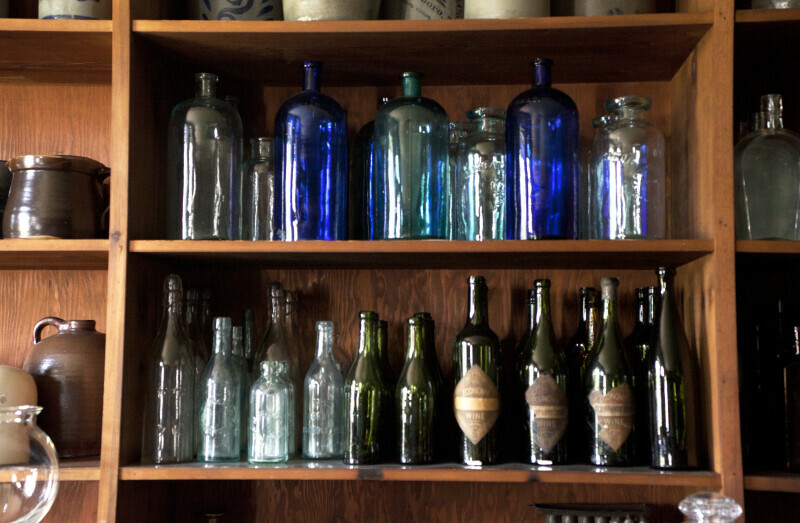 The bottles on the lower shelf appear to have been intended for wine, or other beverages. Economy was the third settlement started by the Harmonist Society, and is now listed on the National Register of Historic Properties. The site is located in Ambridge, Pennsylvania. For more information about the Harmonist Society’s settlement at “Oekonomie,” visit the Old Economy Village website.